Spanning over a number of years, “Zodiac” chronicles the investigation of the Zodiac killings which rocked California in the late 1960s to early ‘70s. “Zodiac” is long, almost three hours in length, but it earns every minute of its runtime. For a movie that’s timeline spans over a decade, there are a lot of aspects to the case that must be shown as well as moments that are needed to introduce and develop the major players. With all of this going into the movie, there is never a dull or lagging moment. As there are a number of time jumps throughout the movie, some of them only being days and others years, “Zodiac” risked the possibility of producing a weak story structure and weak characters. However, even with the way the story is being told, weakness never plagues either of these aspects. In terms of the story structure, “Zodiac” knows which moments to focus on. The moments from the case are used superbly to carry the plot along, and nothing feels needless. This is especially good because, as it was stated earlier, the movie is almost three hours in length. Just like with the story, the characters also manage to flourish because of what the movie chooses to focus on. The three main characters of Robert Graysmith (Jake Gyllenhaal), Paul Avery (Robert Downey Jr.) and Inspector David Toschi (Mark Ruffalo) are all given strong introductions and given depth and personality through meticulous details. Then, when there is a jump in time, the audience can pinpoint the similar characteristics that there were before, and how they have been altered by the passage of time. 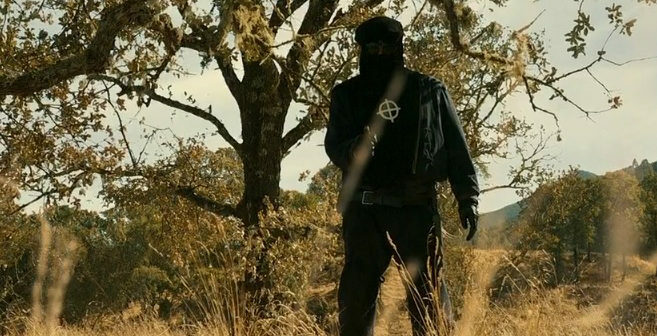 While the film is about the Zodiac killings, it feels like it is less interested in the case itself and more on how it impacted those involved. A lot of success on the part of the characters should be attributed to the actors. Gyllenhaal, Downey and Ruffalo give one of the best performances of their careers, and they are not the only ones. John Carrol Lynch stands out as Arthur Leigh Allen, the unsettling prime suspect of the Zodiac killings, and even the two actors who play the couple that Zodiac targets at a lake manage to leave an impression due to their performances. As mentioned above, meticulous details are used to help develop the characters, and these kinds of details are also used to strengthen the film in general. For example, one of the murders takes place on Toschi’s partner, Bill Armstrong’s (Anthony Edward), birthday. When the case has gone unsolved for a whole year, the detail of it being Armstrong’s birthday is used again to relay the passage of time and how it has affected the characters, as Toschi wishes him, “Happy birthday,” in an exasperated, almost depressed tone. While details like this are small, they help to make the movie feel more real. In terms of tone and feeling, “Zodiac” finds the perfect way to express itself. When it comes to the scenes where the Zodiac Killer is going about his work, there is an atmosphere of creepiness and a genuine tension that lingers throughout the scene. When it is the characters trying to solve the case, the movie feels very methodical and somewhat slow paced, the same way an actual investigation would feel. There is one brief scene where the tone feels off and almost comedic, but this does not last long enough to make any major impact or to derail the tone of the whole film in general. Part of the way that this is accomplished is through the film’s sound design. In scenes with the Zodiac Killer, the movie is heavily reliant on just using the natural sounds of the location. When actual music is used, it fits the scene perfectly. Through its story telling, characters and details, “Zodiac” is a standout not just in terms of films in general, but also when it comes to David Fincher’s impressive streak of work.